Hello once again, all! 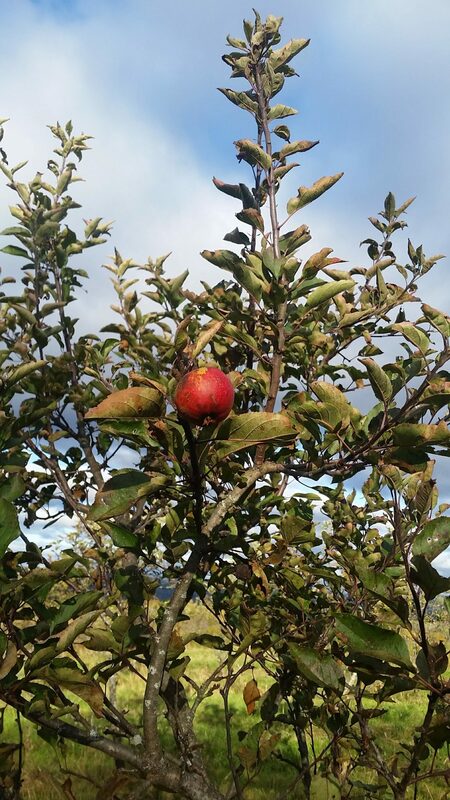 I am happy to return to the blog section of the site on the other shore of a very wet and rapid apple harvest. The 2018 harvest was very unique, to be sure, and it’s surreal to be writing this blog post having had several inches of snow on the ground for a week already this year. Harvest finished up in a hurry this year to make room for shorter days and impending snowfall. Check out the section below for a full description of the Gnarly Pippins harvest, what went right, what went wrong, and how we can interpret and adapt to its challenges for the future. I also have some really exciting updates about Gnarly Pippins as a whole that I want to share with you all! 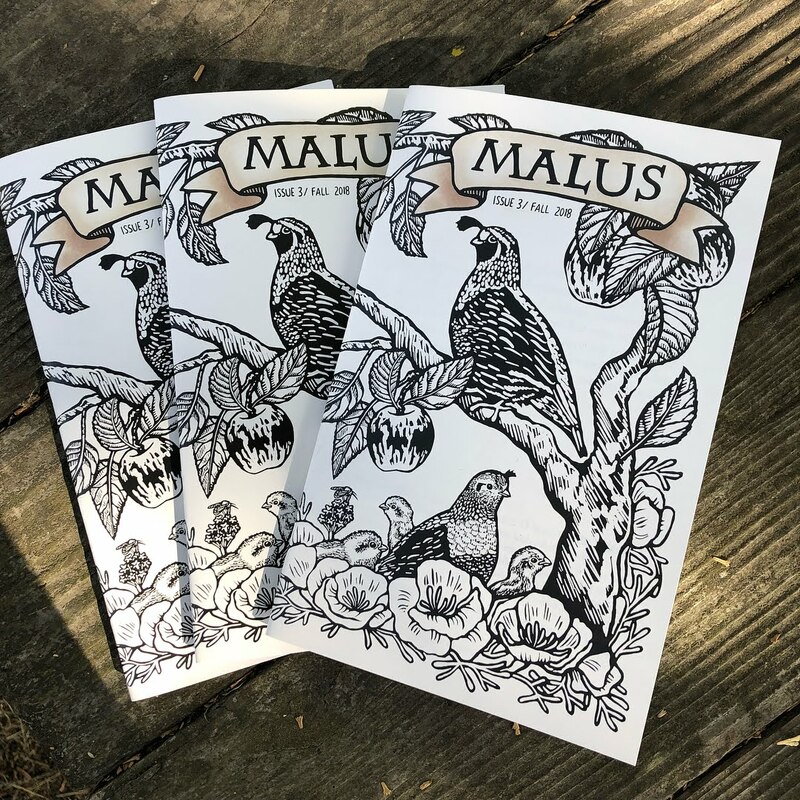 Many of you may already have subscriptions to the Malus zine, a publication that I see as the leading force pushing cider’s culture and philosophy forward. It is the brainchild of Ellen Cavalli of Tilted Shed Ciderworks a brilliant and passionate member of this awesome apple tribe we’re putting our best feet forward for. I wrote an article for the third issue of Malus, released late October 2018, which I am very proud of. The essay is a consideration of the impact that the propagation of wild apples may have on regional cider identity and culture. It’s my first published piece, and it’s truly an honor to be featured alongside such brilliant minds such as those also featured in issue 3! If you’re familiar with the zine, you may recall that it is print-only, an effort to preserve the value of freelance writing talent, small publishers and pubications, and the content therein. If you’re curious about reading this article and you don’t have a subscription to Malus, contact me through this website and I can get you a copy of the fall issue. I was given a few extra copies and can sell them on an individual basis. My inventory won’t last long, and reprints aren’t available. So, get at me soon if you’d like to read it. 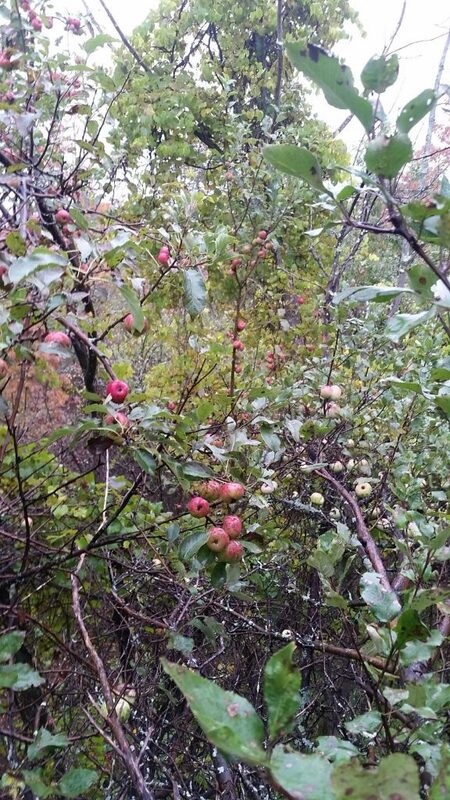 If you miss the opportunity to read about cultivating wild apples in Malus, worry not! 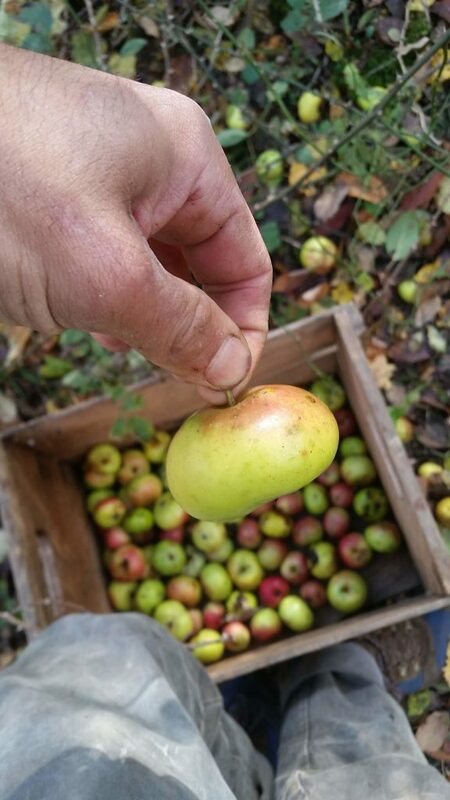 If you are heading to CiderCon 2019 in Chicago, you will have the chance to hear me and several other brilliant grower-producers speak on a panel concerned with the riches of wild apples, and the importance of propagating them. I believe there will a tasting associated with this panel, and it’s a cheap event ($8 – admission for this panel once you’re at the convention). I am excited for this forum– CiderCon is a gathering of wide ranging perspectives on apples, though as I understand it, there hasn’t been a real contingent demonstrating what benefit the seedling may have for the cider industry nationwide. Here’s to wild apple cider, and here’s to that message being taken to a much wider audience. 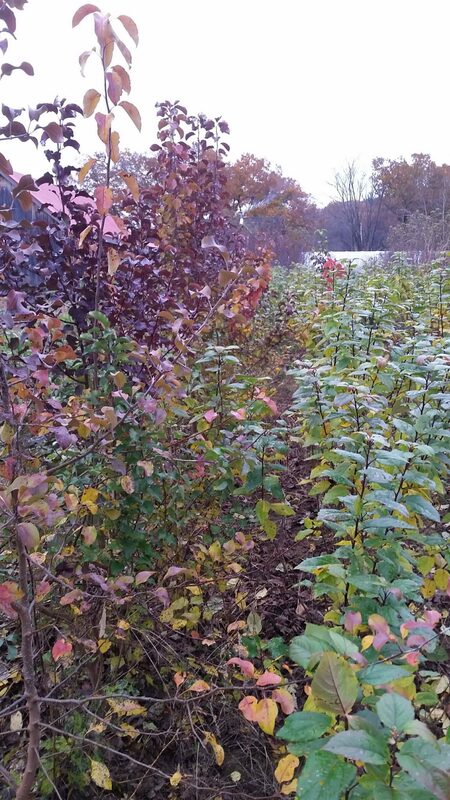 A brilliant show of colors here reflects the diversity of genetics in the nursery at Carr’s Ciderhouse. 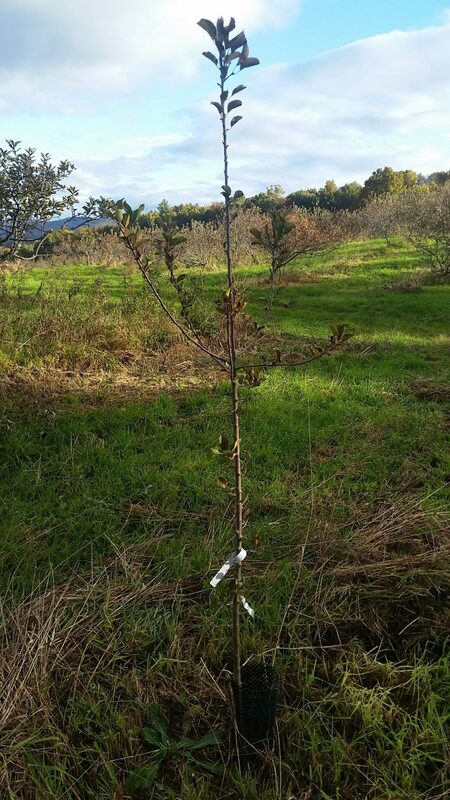 Seedling apples, pears, elder, persimmon, chestnut…..
Gnarly Pippins Nursery Program Launch ! My last big announcement is that the impending launch of the Gnarly Pippins nursery program on the grounds of Carr’s Ciderhouse in Hadley MA. Beginning in Spring 2019, I will be plugging several hundred rootstocks in the ground and forming nursery beds. This new space of cultivation will allow me to graft and grow real nursery stock– feathered whips and young trees — to offer in addition to wild apple scion wood. This expansion of Gnarly Pippins feels really exciting to me. 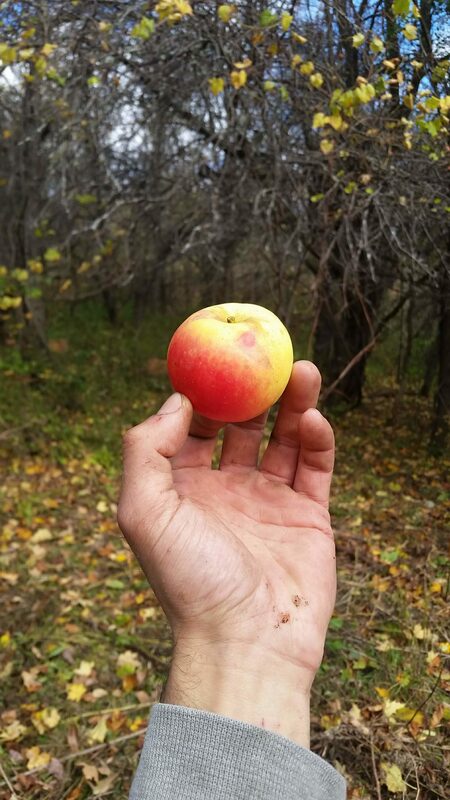 It will allow me to connect with people who don’t know how to graft, and offer the benefit of regionally-adapted and place-based apple varieties to a wider community of folks.Trees won’t be available for sale until 2020, but the process starts now. We have surveyed out a site, and will be putting spade to Earth come the thaw, lest we get another warm flush of weather before Winter really digs in. This nursery program will start off as a planting out of the Gnarly Pippins Collection (the apple varieties documented in the The Wild Apple Forager’s Guide and the other handful of chance seedling apples that I offer scion wood from. After a critical mass of trees grafted into the nursery are growing and producing a sufficient amount of scion wood for all nursery operations to continue onsite (without relying on returning to the mother trees for more scionwood each Winter), then I will expand the breadth of varieties offered as grafted trees to include more new wild apple accessions from the EWAPS (Eastern Wild Apple Preservation Society) collection of regional seedling apples. I have big dreams for this project, maybe you can sense that reading this. Starting small, we’ll have a run at it and see where we get! I remember writing to my followers of the 2017 harvest, notably mentioning that it was one of the wettest years on record. This year I am repeating myself, eschewing any fear of redundancy, because 2018 was definitively the wettest year on record in Massachusetts. Many trees, wild and cultivated alike, failed to carry their crop to ripeness due to the constant moisture, and thus the prevalence of apple scab. 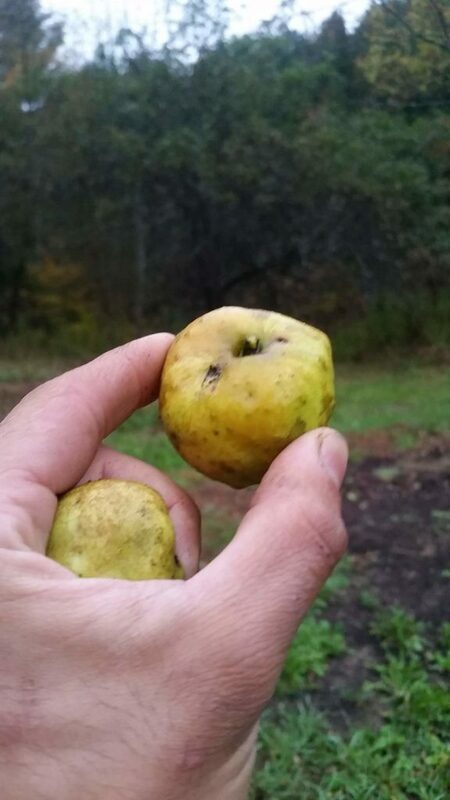 What wild apples did persist through exceptional rain are great examples of scab-resistant specimens. Even the cultivated scab-resistant varieties such as GoldRush, Winecrisp, Liberty, and others, had at least moderate crop loss in our area. I found that the wild apples displaying resistance to these diseases had a degree of health and vigor through adverse conditions that these supposedly “resistant” cultivated varieties didn’t come close to. The breadth, or degree of hardiness is not binary! There is a real continuum of resistance to disease, and in this brave new world of climate instability, we ought to be paying attention to the subtleties therein! An example from this year is that our Dabinett block took significant damage from fireblight this year, when very little fireblight impact occurred in other varieties in our site. Never before has fireblight affected our Dabinett in this extreme a way. Regardless, Dabinett was able to carry a scant, marginal crop to ripeness, and retained a green flush of healthy leaves on branches unaffected with fireblight bacteria and the associated dieback. In stark contrast, apple scab hit Golden Russet with ferocity, causing complete defoliation by early September. The fruit did not drop upon defoliation, but early onset of rot occurred, and scab appears to be systemic (in the wood) in certain areas. This variety is typically harvested in Hadley, MA in late October, should have been harvested in the first week of October to avoid the onset of rot. Dabinett….looks healthy, but this block looks very sparse now as many trees have succumbed to fireblight. Several wild apple selections that have been documented before in the Gnarly Pippins collection — Old Fertile, Nailbiter, Queen Crab — and dozens of newfound, undocumented pippins from this year’s harvest grew with candor through the heightened instances of apple scab spores, as though the wet conditions were simply an invitation to put on trophy levels of vegetative leaf growth, looking lusher than ever, with a crop of fruit clean as a whistle, against all odds. Some pippins fell short of this gold-standard, mostly those that aren’t included in the Gnarly Pippins collection. Not all pippins are created equal, sadly. Some had issues such as surface cracking from excessive rain, and early onset of end-rot and other rots. These are mostly benign types of rot, but they affected the way that many apples stored. Many apples we use for cider were not let to sweat as long as they may normally have been. I also erred on the side of post-harvest maturation in a couple of cases where I noticed early fruit drop, or rot onset on the tree. Apples that were harvested before the onset of rot and matured in bins to reduce starch content stored just fine! I even have some left that didn’t get sent to the cider press. That is a neat trick to keep in mind for future reference to any those who experienced similar misfortunes this year. The downside of all this wetness and early rot is that most of the harvest is not going to carry into the high holidays and Yuletide season for fresh eating. There is a lot to be said for wild applesauce though, and we’ll be going through some of that instead this year along with plenty of wild apple cider. The entire Gnarly Pippins harvest this year, has gone to the 2018 Wild Apple Blend from Carr’s Ciderhouse. Stay tuned for updates with the progress of that fermentation, and where and when that release will be available early next calendar year. The affirmation of seeing these wild apple trees which I’ve been following for several years now produce apples happily year in, year with no fuss, no sign of major disease in the wake of unprecedented climatic irregularity, and increasing air, water, and soil pollution is a true inspiration to me. A beacon of resilience, sainthood of abundance, motherly strength in an enveloping swarm of general degradation and depravity…. Oh here I go again. There is nothing quite like crop-wild relatives and the cultivation of well-adapted crop varieties towards a more stable regional foodshed. Excelsior! This year of extremes has illuminated a number of new pippins to cultivate. Many new discoveriess came from a new grove of wild apples I explored this year, mostly consisting of trees older than 50 y/o (an age estimate based on tree stature, and land use history.) The harvest largely reflects that grove, as it was masting this year, and is topogaphically situated in an area predisposed to high circulation of air, mitigating the effects of crop loss at the hands of apple scab. I am calling this area ‘Newgrove,’ and I found a crazy amount of exotic phenotypic traits in this area. Several naturally bittersweet varieties, many typical bittersharps, and a lot of apples with unique qualities of acidity and signature flavors. Lots of tropical fruit flavors and very intense flavors. If folks are curious to hear more about those oddballs, drop a line to hear more on that in the comments section of this blog. Although there were a number of new-to-me trees that I was absolutely charmed and amazed by this Fall, there is one that is definitely coming into the Gnarly Pippins pommage. I present to you, Winhall Fire ! This hard, dense apple is somewhat reminiscent of Golden Russet in appearance, and has a similar quality of sweetness. It has subtly but very pleasing tannin right off the tree; A very smooth bitterness reminiscent of Old Fertile, or a tame Binet Rouge. It’s juicy, partially russeted over a base coat of mustard yellow. A fantastic all purpose apple that shines in a cider blend. I have harvested from this tree two years in a row, and it has been awesome both seasons. Slightly larger harvest in 2017 than this season, but bore both years irrespective of human care. You’ll see this variety on the 2019 scionwood order form. “Electric Mango” crazy oblate apple discovered at Newgrove in 2018. Further evaluation needed for legitimate viability as a variety, but probably worth propagation anyway because it looks so wacky and is so delicious. Franklin County Cider Days took place a few weeks ago. There are so many praiseworthy producers who poured cider, and so many awesome new faces I was introduced to, but the biggest spotlight from this year’s festivities should be shined on a brand new producer from Maine: Bent Bough Cider. A fantastic couple of folks producing natural cider produced from wild apples. 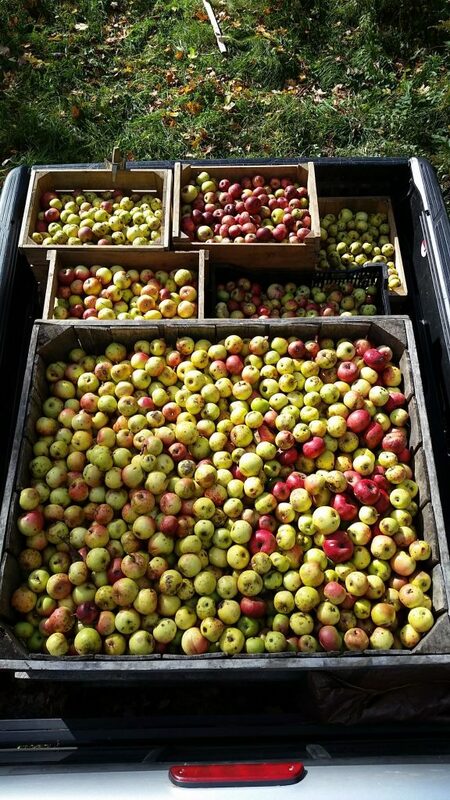 They recently debuted some cider at the Downeast Cider and Cheese festival, and will be selling their inaugural blend of barrel aged wild apple goodness in 2019. I am so excited to see what they grace the apple community with, not only because their cider is amazing, but also that they are cataloging exciting and unique wild apple varieties in the same way that Gnarly Pippins is. 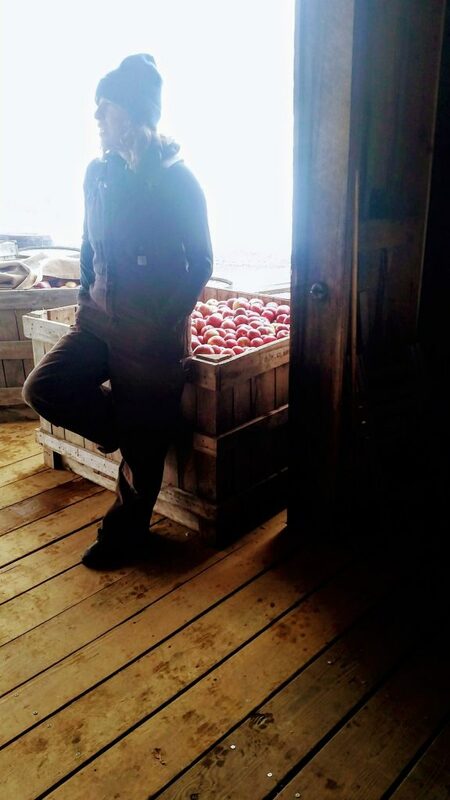 Oh, and as if they couldn’t get any cooler — one half of Bent Bough works as the orchard manager at the legendary Maine Heritage Orchard. Righteous! Show them some love, give them a like on social media (FB and IG) and stay posted with where you might be able to find a bottle of their stuff. 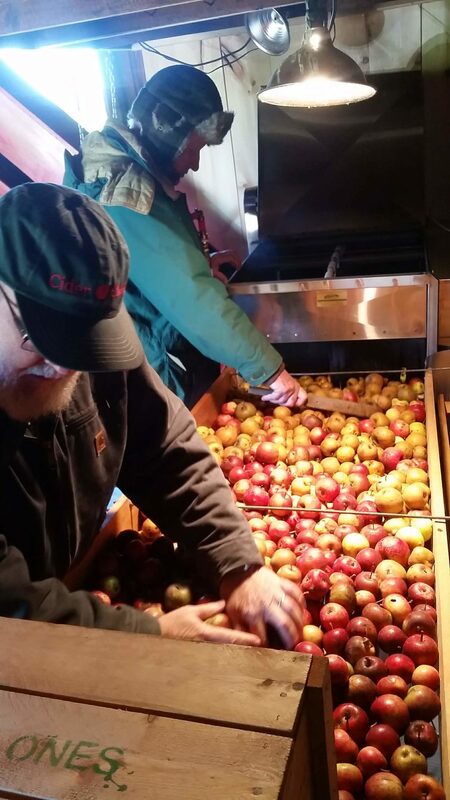 In the meantime, we are hard at work pressing the last of the 2018 apple harvest for hard cider, cider vinegar, cider syrup and pure cider jelly at Carr’s Ciderhouse with snow on the ground, and nighttime temps chilling apples to true and icy solidity…. only 180 bushels to go! Until the next time my friends! Don’t be a stranger, I want to hear from you all.